London, May 20, 2015 – The Bühler Group, a global leader in processing technologies for the nut industry, will present its new SORTEX E BioVision™ to the World Nut and Dried Fruit Congress in Turkey, on 22nd May. Featuring high definition BioVision™ detection technology, the optical sorter removes hazardous material up to 50 percent smaller than previously possible from almonds, pistachios, pecans, walnuts and hazelnuts, regardless of the treenut variety. It does this in a single sort, minimising associated losses of good nuts – a solution that has been unavailable until now. Bühler has provided unparalleled sorting technology to global nut processors for decades. Nevertheless, recognising that demands on quality were becoming ever more stringent, a dedicated research programme was established, to ensure that technologies continued to meet the increasingly exacting requirements of today’s nut processing industry. This research has resulted in the SORTEX E BioVision™. This optical sorter uniquely allows processors to accurately remove even smaller fragments of shell and foreign material than currently possible with existing technologies and it does so with up to double the capacity of other sorters currently on the market, using the same footprint. 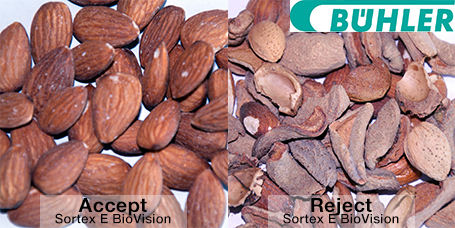 Fundamental to the SORTEX E BioVision™ is Bühler’s proprietary high definition BioVision™ detection technology, which, by targeting the spectral and spatial difference between nut meats and shell, is capable of distinguishing subtle differences between, for instance, pale shells and paler varieties of almonds such as nonpareil. Without this technology, a much higher volume of the nut meat may be lost, due to false rejections. Responding to this challenge, Bühler invested heavily in extensive trials on a wide variety of tree nuts, investigating the precise nature of the light they reflected. Through its studies, Bühler discovered that kernels and shells, in all the tree nuts it examined, are characterised by their own spectral signatures. This unique pattern in the spectra has allowed Bühler’s in-house team to pinpoint the differences between the chemical characteristics of shells and those of nut meat, and underpins the introduction of the new SORTEX E BioVision™. Using the SORTEX E BioVision™, nut manufacturers can now achieve a greater than 99 percent removal of shells, depending on input contamination and throughput, plus an impressive 97 percent concentration of shells in the reject stream. Bühler’s proprietary technology has also enabled its optical system to be produced with a higher resolution than other available technologies, thereby making it possible to detect and remove hazardous materials up to 50 percent smaller than other industry solutions can manage today. 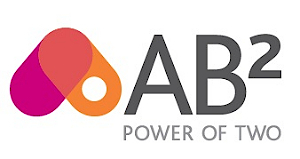 It does this accurately and at high speed, minimising associated losses of the good nuts – setting a new safety and quality standard for the industry. Featuring a hygienic, stainless steel, open design, with built-in, bespoke dust management, as well as Climate Control systems, the SORTEX E BioVision™ offers superior cleanability, consistent and reliable operation over time, and a constant world-class sort, even in the dusty environments and changing ambient conditions that, by their nature, prevail in nut processing facilities. The option to be combined with Bühler’s proprietary colour cameras, InGaAsHD, PROfile™ detection technologies, state-of-the-art broad spectrum lighting and high speed ejectors, means the SORTEX E BioVision™ can be positioned at various stages of the nut processing lines to give an unrivalled sorting performance. With one simple set-up for different varieties of almonds, hazelnuts, pecans, walnuts and pistachios, unprecedented removal of hazardous materials and nuts that are mouldy, rotten and diseased, can be accomplished. The SORTEX E BioVision™ is Bühler’s latest offering for nut processors, further enhancing the company’s existing SORTEX E product range. Customers who have already purchased the SORTEX E1C will have the opportunity to upgrade to the new BioVision™ detection technology. 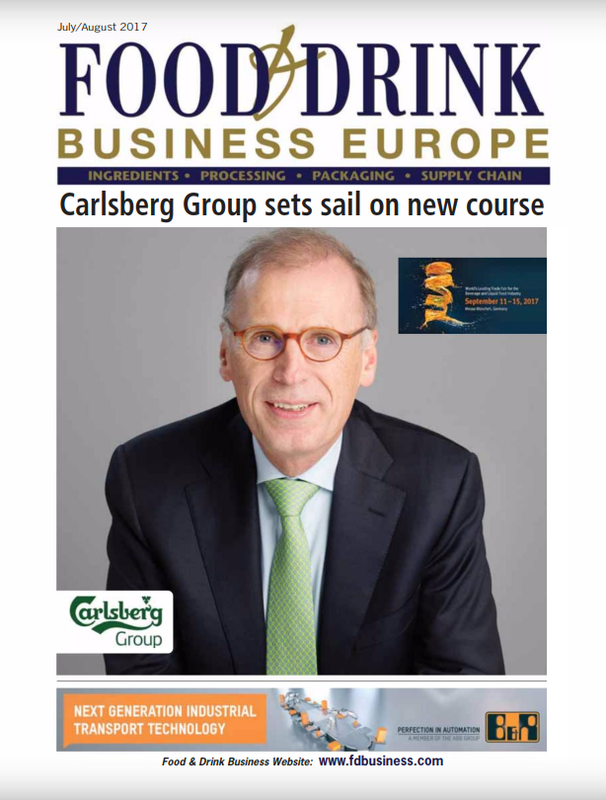 The SORTEX E BioVision™ marks a further technological evolution in optical sorting, further cementing Bühler’s position as the market leader in this field and expanding its influence in delivering innovative solutions to the global food processing markets.